Earning a bachelor’s degree in four years requires hard work and persistence. It also requires something that’s not always under your control: getting into all the classes needed for your degree. So when a 2013 survey of San Francisco State University students revealed that they consider enrolling in required courses their biggest obstacle to a timely graduation, the University took action. The result: the distribution of $280,000 in departmental “mini-grants” supporting course redesign. The project has streamlined different pathways for more than 6,500 students to meet requirements for their majors. Led by Provost and Vice President for Academic Affairs Jennifer Summit, the project was funded by the Teagle Foundation, which promotes teaching and learning in the arts and sciences. One-third of all departments at San Francisco State and more than 40 faculty members participated, using the grants to fund faculty-led initiatives through student focus groups, alumni surveys and course development and support. The project also funded work retreats and other networking opportunities that strengthened faculty relationships and cross-campus cooperation. According to a Teagle Foundation report, the changes impacted 6,748 students, giving them more flexibility by merging courses and degrees that were previously separate. For example, a Department of English Language and Literature course on Shakespeare now incorporates the linguistics and history of Elizabethan literature, not just the study of canonical plays and poetry, making it easier for English majors to fulfill multiple concentrations within the department instead of just one. The Department of Earth & Climate Sciences previously offered two bachelor’s degrees which had no shared courses in common. Now it offers a single B.S. degree in earth sciences, giving students a choice of one of three areas of emphasis, a change that provides more course options that fulfill graduation requirements. Associate Professor of Communication Studies Mindi Golden says her department made similar reforms, creating new courses that better fit students’ academic needs. 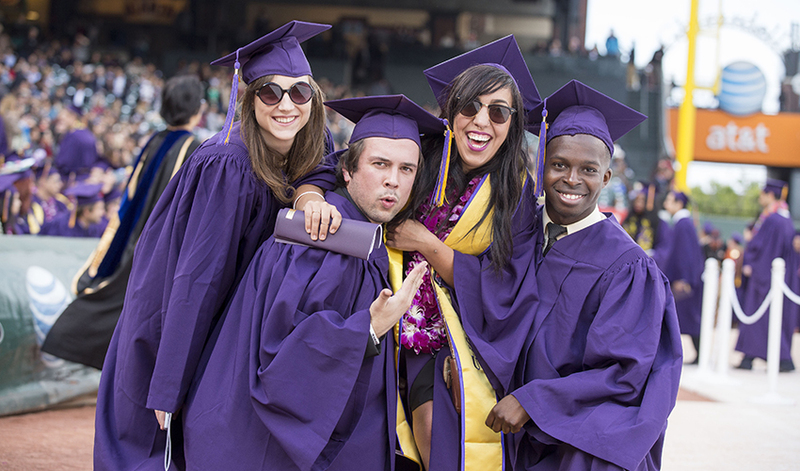 Moving forward, Summit says SF State will continue to build on these mini-grant innovations in collaboration with the California State University’s (CSU) Graduation Initiative 2025, which aims to increase graduation rates for all CSU students.